"What world kind of world will be here for my sons," my nephew asked his mother. After camping in the mountains, they had returned home to extreme heat and a brown, cracked earth. What kind of earth are we leaving our children? My son has voiced similar concerns. These same worries have crossed my mind many times. I grew up as a child fearing the world of the Cold War. Pesticide threat had not yet come to the awareness of farmers. Everyone smoked and cars spewed exhaust. When we moved to Oregon, it was not unusual to see ships piled high with lumber going overseas. We had to learn. A segment of the news this morning focused on the affect of hormones on little girls, that girls are maturing as early as age 7. Hormones in milk. I have seen some of these girls at my granddaughter's school. This change in young bodies is alarming. In Ohio, I grew up with tornadoes and sometimes drought. Here in Oregon we face forest fires and a rare mountain eruption. Our winter was mild, our summer late in coming but other than that, life around here is pretty much par for the course unlike many parts of the US. I stood with my sister looking up at the sky over Key West, Florida. 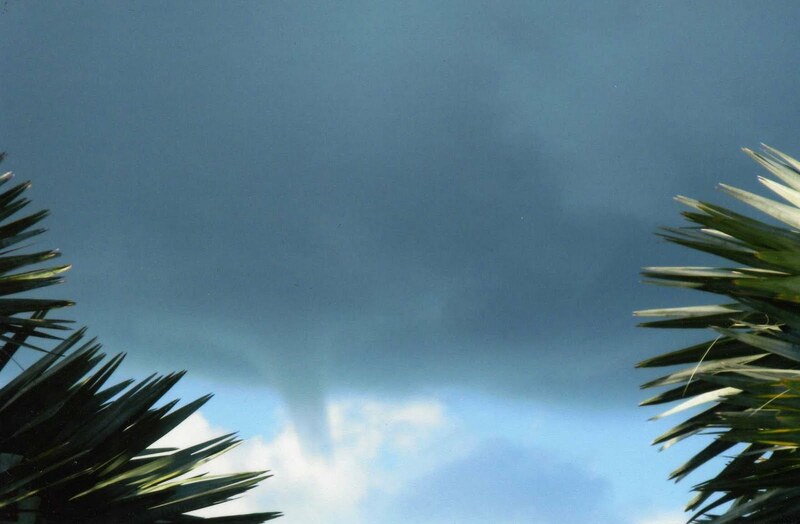 A water spout suddenly dropped from the sky. We didn't run to the basement to hide from a storm, of course, there are no basements in KW. My sister informed me that they are not uncommon. Very few touch the water. Yet, I stood there looking at a storm taking place in just a matter of seconds. Where am I going with this? I am a grandmother who is concerned for her family. We are at the mercy of our environment. We can do what we can to change those things that are changeable, yet there are things we cannot change. So what do we do? We teach our children to be aware of what they can do to protect, to change the changing environment. We teach our families to live each day to the fullest embracing those we love. We teach them to reach out to those who are hurting and suffering learning that we are truly all 'one world'. We teach them not to live in fear but in hope.